Here at Tradewinds RV Center, our goal is to help every customer achieve the dream of owning the RV they've always wanted! As one of the top dealers in Michigan and the nation, we have sensationally low prices and a huge selection of all the top brand RVs you know and love. Got your heart set on the 2019 Forest River Flagstaff E-Pro 19BH? Stop in and see us and you could be taking this Travel Trailer home today with a deal that will make you cheer! We're conveniently located at 4325 W Vienna Rd Clio Michigan 48420, and we've got great prices and great financing all set to go! Don't live in Clio? That's no problem. We have satisfied customers all over Michigan and the entire country thanks to our 24/7 store-to-door delivery service! 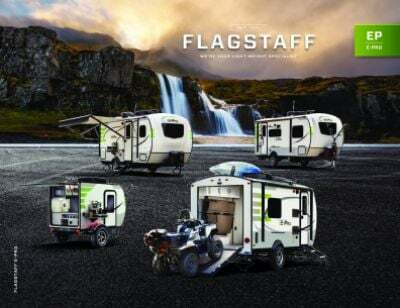 So give us a call at 810-686-0710 and let us put you in the Travel Trailer of your dreams! You'll save $1000s! With a hitch weight of 360 lbs, this Travel Trailer is super towable. It's 20' 0" long and 7' 0" wide, and has a sturdy GVWR of 3860 lbs. The 13' 0" patio awning provides shade and UV protection for outdoor living! Want to bring some guests on your camping trip? 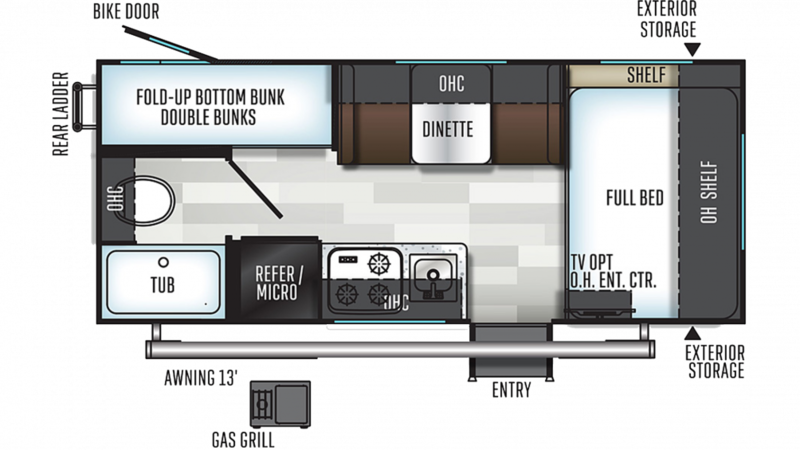 The bunkhouse has comfy Bunkbeds, making a total of 3 beds inside this Travel Trailer!